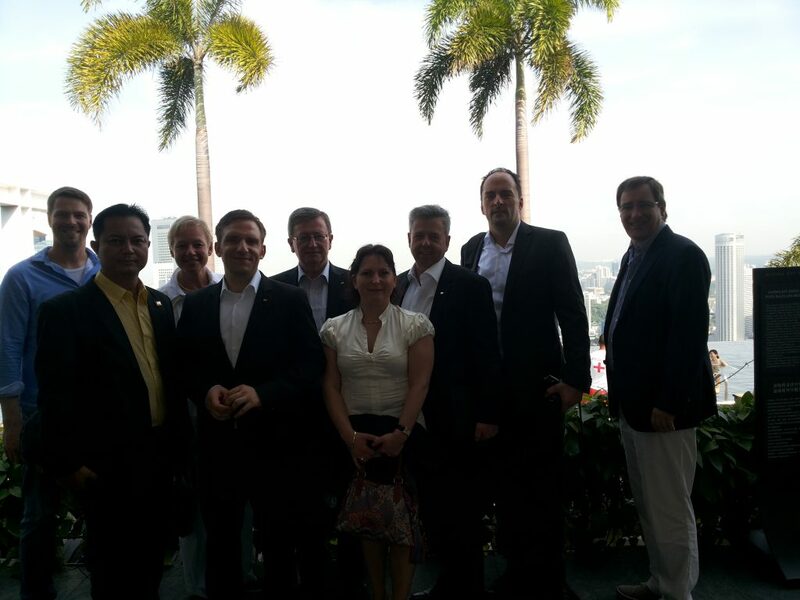 During 4days Food & Hotel Asian 2014( 8th – 11th), CRA vice President Mr. Chansy, along with Madam Van Porleng and some of our value members attended FHA2014 in Singapore. FHA2014 is the Asia’s largest and most comprehensive international trade event for the food and hospitality industry. Along the exhibition, they have competitions, seminars, workshops and others activities. Ms. Long Karuna who was the gold winner during CRA competition 2013 had a great chance to attend the Barista competition in FHA2014 under the supporte of CRA. At the same time, On 10th April, CRA Vice President Mr. Chan Sy was invited to attend the International Food & Beverage Association (IFBA) Annual General Meeting with Madam Van Porleng (Vic President, Asia) in Singapore. CRA is a member of IFBA since 2012. On 25th—26th April, CRA secretary and five members attended the second training for “Practical Accounting and Financial Management”under the project of CIPE “Strengthening Private Business Associations” . 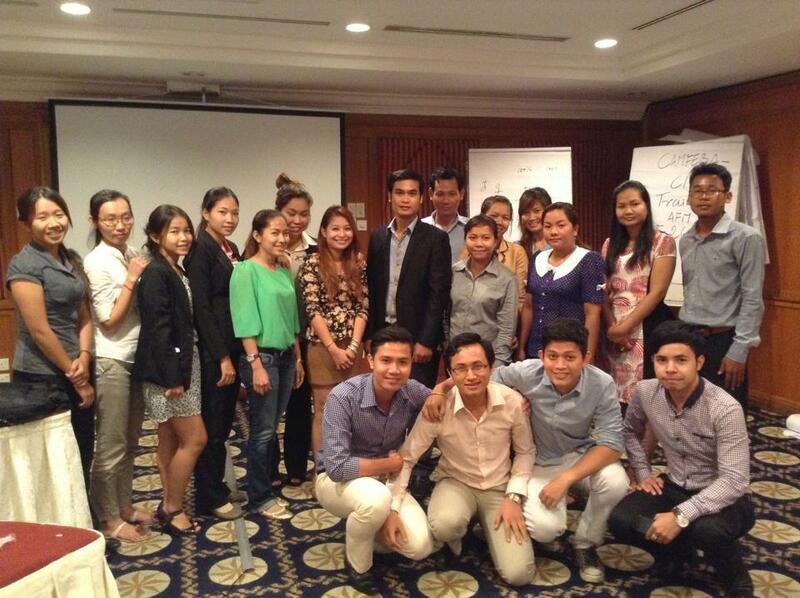 22 trainees attended the training from four associations. The main objective of this course is to enrich association staff on implementing accounting skills in their daily operations. The training focused on aspects such as; the financial statement and description of the main financial ratios. The training produced positive results through practices in group facilitated by a skillful trainer. 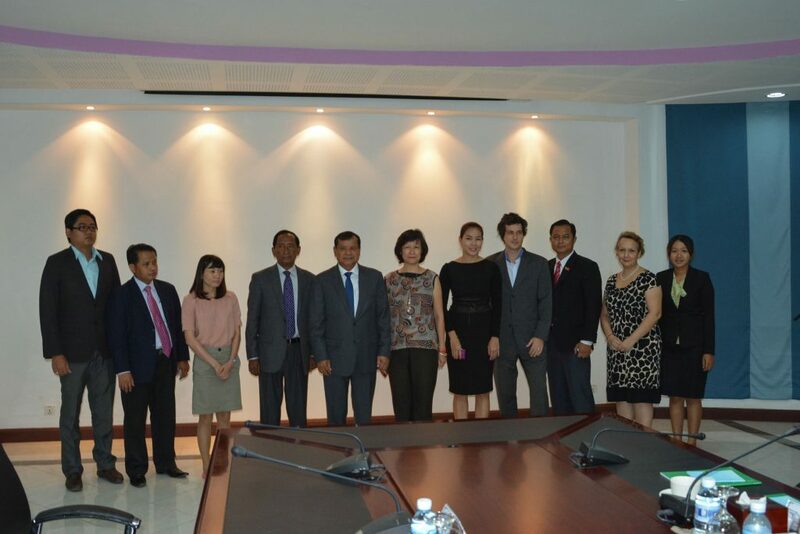 On 29th April 2014 , CRA BOD , Madam Van Porleng and Ms. Anne Guerineau attended the meeting with His Excellency Dr. Thong Khon in order to introduce the New Board. H.E Thong Khon, as well as his colleague showed their warmest welcome to our delegation. His Excellency really appreciated the annual CRA competition event especially the talent skills of the younger generations. He also hopes that Ministry of Tourism and the Cambodian Restaurant Association will continue its good collaboration in developing and promoting the tourism sector, especially services quality, as well as human resources. “Do not hesitate to contact me and my colleagues if you need support from us” H.E Thong Khon said. At the same time, Ms Hak Lina, CRA president presented her main objective for the association: to increase more members at the association and improve employee safety, as well as service quality in the restaurant industry.